SMART GEAR FOR TOUGH ADVENTURES. BORN IN AFRICA, PROVEN AROUND THE WORLD. 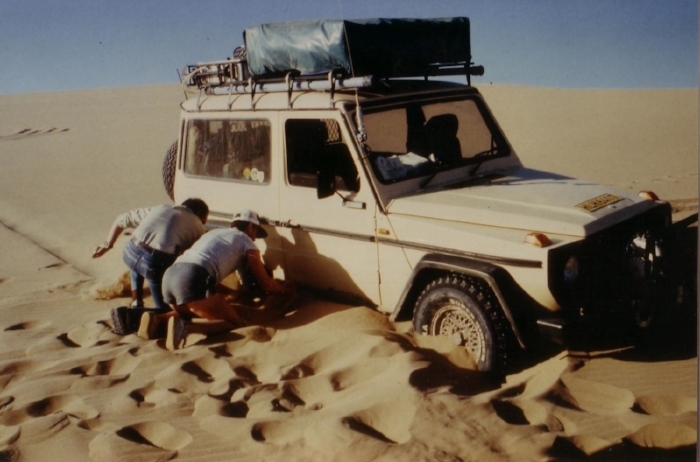 Front Runner started as a handful of friends who are engineers, designers, outdoor enthusiasts and professional off-road drivers with a shared history of adventures into the wilds of Africa spanning 40 years. TESTING A ROOF RACK, FRONT RUNNER STYLE! DREAM IT. MAKE IT. USE IT & BREAK IT. Our South Africa factory is equipped with the very latest technology and manufacturing capabilities that help us dream, design, build, test, sell, and travel as we relentlessly pursue the strongest materials and best designs to perform in the most demanding environments. Today Front Runner is the leading manufacturer of Expedition Grade Roof Racks, Roof Rack Accessories, Camping Gear, Storage Systems, Fuel Tanks, Water Solutions, and Bumpers. STRONG, SMART, CAPABLE & QUIET. DESIRABLE TRAITS IN ANY LONG TERM RELATIONSHIP. WE SET OUT TO MAKE THE STRONGEST & MOST VERSATILE ROOF RACK EVER. 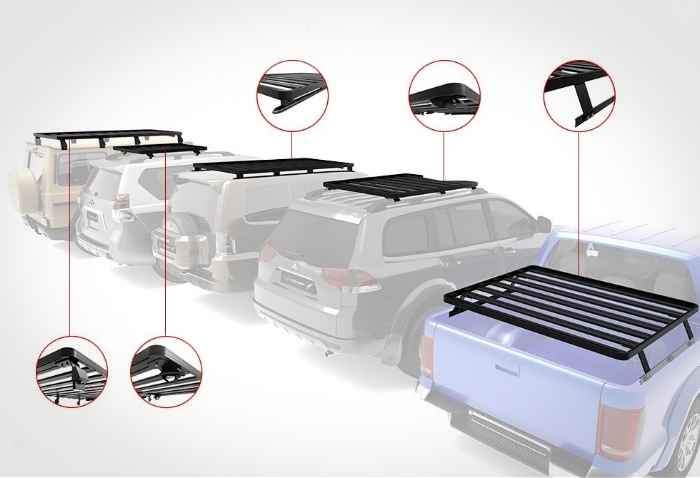 This fully modular roof rack system is off-road rated, holds up to 300kg and has 5 different mounting systems with 55 different sizes to fit hundreds of vehicles. The Slimline II is available for Land Rovers, Jeeps, Mercedes, Toyotas, Subarus and more. OVER 50 ACCESSORIES TO FIT ONELEGENDARY RACK. DESIGNED FOR ULTIMATE COMFORT AND UTILITY WHERE NEITHER EXIST. Over 50 accessories. Endless possibilities. TAKE YOUR RIDE TO NEW HEIGHTS.